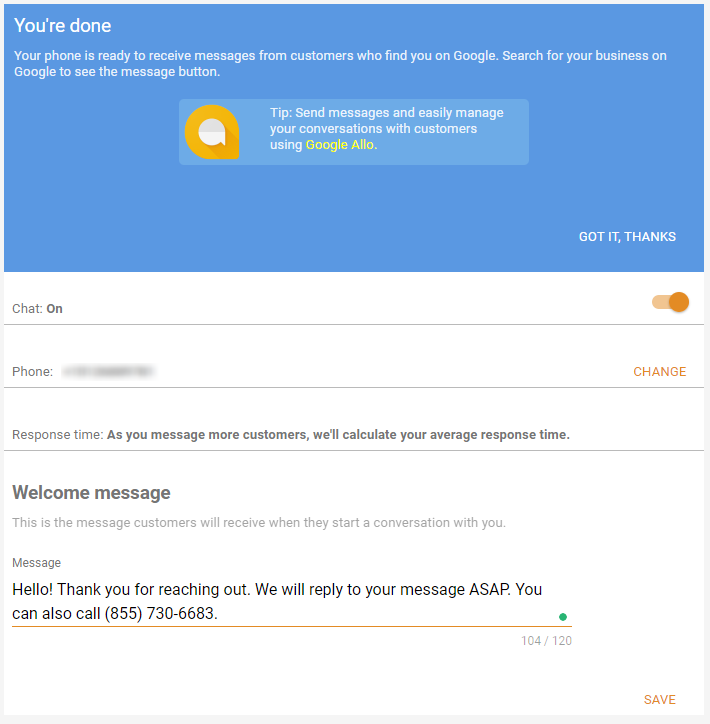 I'm a little late to the party on this one, but I still felt it important to write an article about the new Google Messaging feature for businesses. It went live last week and it's something that I recommend that all of you adopt, ASAP. 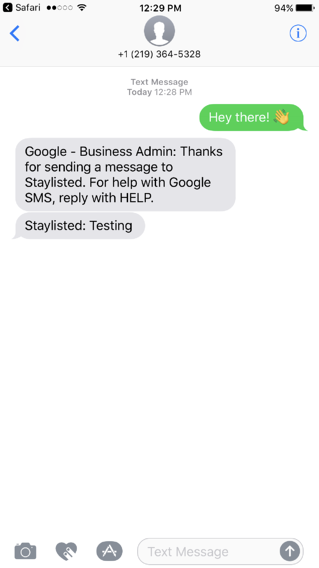 Put simply, Google Messaging is a way for people viewing your Google My Business (GMB) listing on a mobile device to send you a text message. 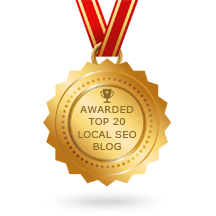 And what could be better than giving your potential customers even more ways to contact you? I got my first glimpse of this feature a few months ago when it was out for testing. Unfortunately, Phoenix wasn't one of the test cities so I didn't have the opportunity to take it for a test drive. Now that its been rolled out for everyone to use, lets dive in! 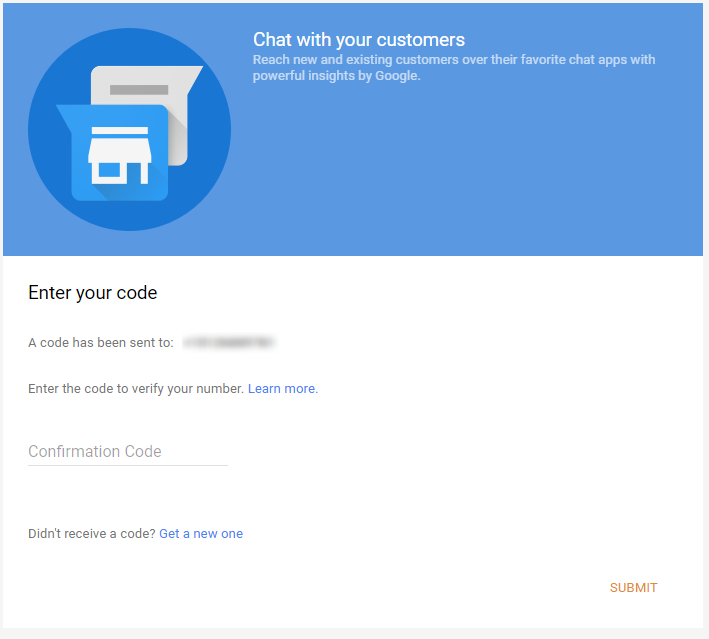 It's as easy as can be for you or the company managing your account to set up and turn on your Google Messaging feature. As with all GMB features... navigate to Google My Business, log into your account, and click on the listing that you would like to manage. Once inside of your listing, you'll notice a new block on the dashboard labeled 'Chat' and a new tab on the left titled 'Messaging'. You can click on either the tab or the 'Turn on Messaging' button to get started. The first thing you are asked to do is to enter the phone number of the device that you want to receive the text messages on. 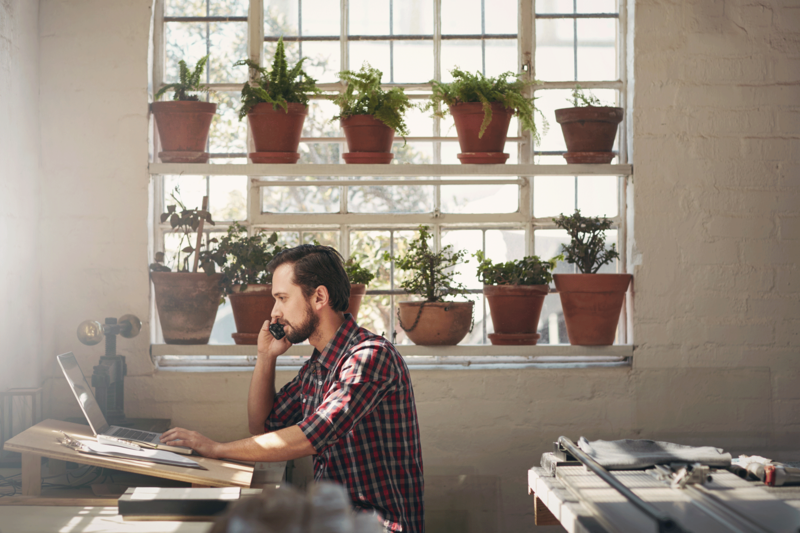 This number can be different than the main phone number on your listing, which is great! It also means that you can change it to another employee if you're unavailable. I did find it interesting that Google retains the right to monitor the communications through the messaging system. 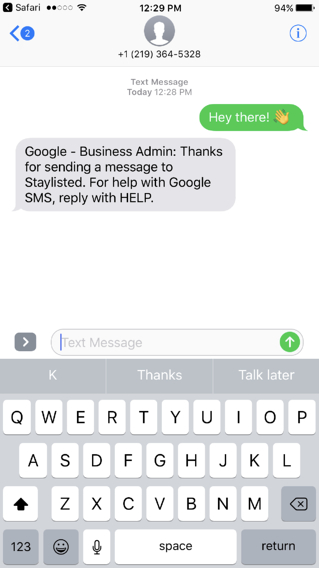 Once you enter the desired number, you will receive a text message from Google with a confirmation number. Simply enter the code into this screen and click submit. Now your Google Messaging is turned on! Now the Google Messaging tab will have a number of options available to you. At the top, you will see you are able to toggle the messaging feature on and off as necessary. You can also change the phone number from this screen. There is a section that will tell you the average response time once you have amassed enough data. 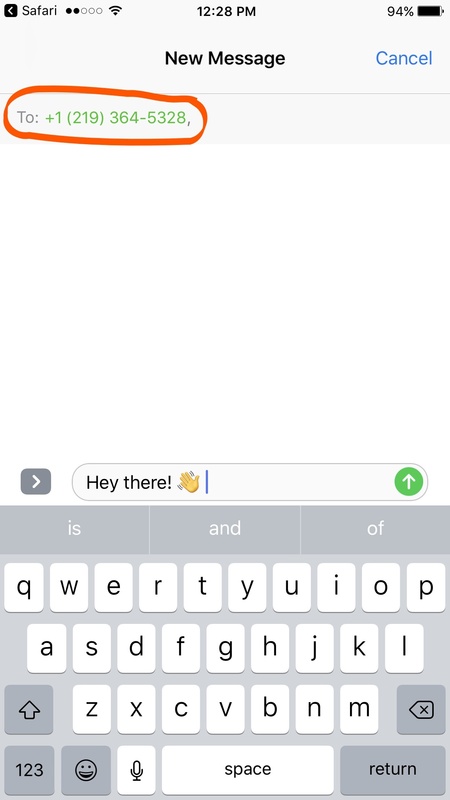 You can also set the automatic reply that is sent to the person who contacts you before you respond manually. Now that I have my Google Messaging all set up, lets give it a whirl. First, I noticed that messaging is not available from desktop. It uses SMS texting, so the person sending the message must be on their mobile device. The potential customer taps the 'Message' button and it take them right to a text window. I circled the phone number in this screenshot because that is not the number that I entered when setting up the Google messaging feature. 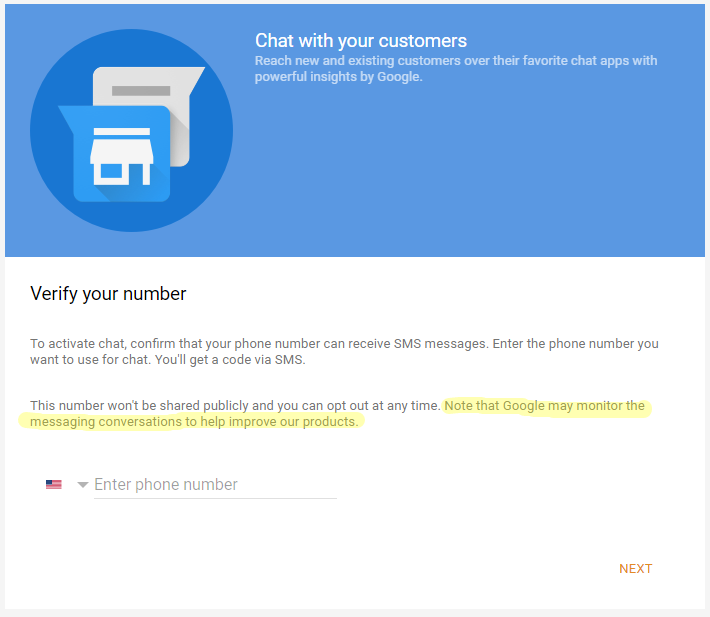 Google randomizes the number, that way if you need to use a personal number, potential customers will not have access to it. As soon as I sent the message, I received the automatic reply. On the receiving end, I was noticed through a text message from Google that I had received a message from someone. Google gives you the phone number of the person messaging you so that you have the ability to call them if you would like. 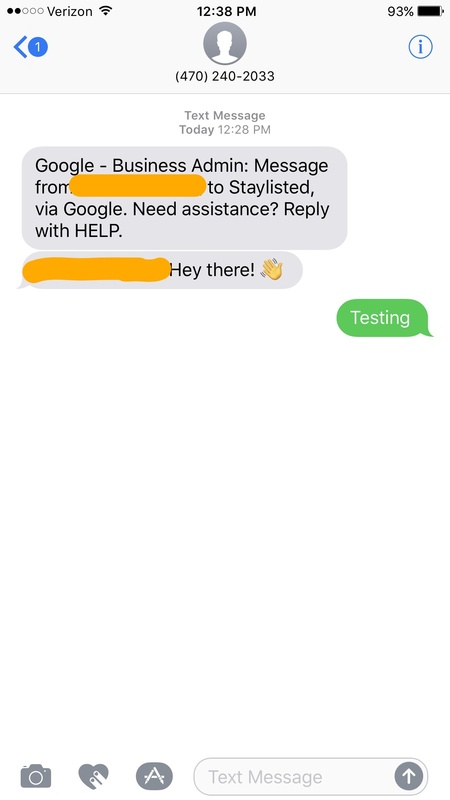 You can reply directly to the client as you would with any other text message. IGNORE to mute all incoming messages from that contact. SPAM to mark the message as spam. STOP to turn off messaging until you decide to turn it back on. When you reply, your message comes through as your business name. I really like the Google Messaging feature. It's easy to set up and use. I am happy that they included the IGNORE and SPAM feature so that you can ensure that you are not to be hassled on your personal phone. I also like that you can turn off the messaging feature remotely if you're not at a computer. Randomizing your number keeps you and your staff safe and is simply a smart choice from Google. Like I always say, the easier you make it for your potential customers to reach you, the more likely they are to contact you and use your service. Google Messaging can be used to the benefit of any business, however I feel like it will greatly improve the contact rate for taxi services and contractors who may be out in the field off and unable to hear their phones. How do you feel about Google Messaging? If you've used it, whats your experience been like so far? After years of studying literature, Sarah discovered her true love; marketing. She is a firm believer that educating small business owners about marketing empowers them to make smart business decisions. When she's not busy saving people from marketing faux pas, you can find her reading or slaying pixel demons in far off lands. Can Google Posts Increase Small Business Visibility on Google? Copyright © 2017 Staylisted - All Rights Reserved.